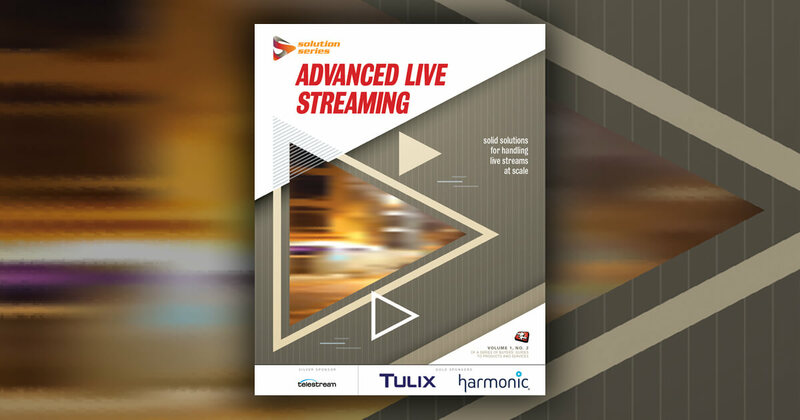 Learn more about large-scale live event streaming at Streaming Media's next event. Tim Siglin: Welcome back to Streaming Media West 2018. I'm Tim Siglin, contributing editor with Streaming Media Magazine. Today, I've got with me Andrew Beranbom, Founder and CEO of First Tube Media. So what is First Tube? Andrew Beranbom: We are a live-event content platform for brands. Tim Siglin: What was the panel that you were on earlier? Andrew Beranbom: It's was live content at scale, which is pretty relevant to what we do for a living. Tim Siglin: Brands obviously love their stuff at scale. So what are some of the challenges that we face as an industry at scaling up? Andrew Beranbom: The conversation during the panel was interesting, and it kind of touched upon the technology aspects of it, as well as kind of the content aspects of it. Our focus is really on the content aspects of it. Andrew Beranbom: Brands are basically being forced to, as publishers now, do social media, which is why today we actually are launching a brand-new platform, a marketplace. You can go to firsttubemedia.com and see a brand-new live event marketplace. We've aggregated live event creators into one place where we're going to be able to give brands a source for storytelling. The idea is that the source of live events can provide them content sources that they could create their own. Tim Siglin: And we're talking much more than just an all-hands meeting with the CEO of a company, right? Andrew Beranbom: That's absolutely correct. We're focused on premium-level destination content. Our primary focus has been in live music for the last year and of a half as we've scaled the business. So we livestreamed over 60 shows in the past year and a half. And building storytelling between the artist, the live performance, engaging those artists to do other types of content of our behalf, and then knowing how to distribute that content at scale natively through their own operating channels as well as influencers. Tim Siglin: And will you merge sort of the live music with brands, so that if a brand wants to have a particular band come in and do something tied around that brand? Andrew Beranbom: Yeah, I mean with music specifically, it's pretty complicated. So what we've designed is a ... my background's in ervice platforms. So as I realized how complicated the music industry is, I realized, hey, there's an opportunity. If brands really want to have a always-on framework for executing these programs, which we believe you have to in this day and age for brands. You can't go pop and do a one-off sponsorship festival anymore and see the ROI. Andrew Beranbom: We saw there was an opportunity to streamline a service and software in combining independent promoters. So we actually deal with all the talent curation for brands, dealing with all the licensing and clearancing aspects of it, producing all the content that's required from pre-, live, and post-event. My background's in digital marketing and knowing actually how to scale that distribution and then actually show ROI. So we have an analytics platform that shows all the distribution of that content that's happened across any of the platforms and channels. And it's showing back that ROI back to the brand, which is what's really important for them. Tim Siglin: You mentioned the sort of always-on nature of this. I come out of crisis management PR, and of course, when something happens, you need a venue and an avenue to be able to get the message out quickly. Tim Siglin: I'm assuming that could also be a model here for the brands working with you. Andrew Beranbom: The always-on aspect is just there's ... we view the landscape, there's this kind of attention economy. So, pretty big challenge out there. On a minute basis, you're looking at 4.1 million views on YouTube, you're looking at 900,000 log-ins on Facebook. You're looking at 800,000 Tinder swipes, right? How does a brand get through all that? Andrew Beranbom: And so, what we're doing is really empowering them with authority around a cultural movement. And so music is really where our core expertise is. Having an always-on, you're creating a predictability to your audiences, allows you to kind of grow and grow and grow that engagement. Tim Siglin: Conversely, how do you keep the bands protected so it's not like they feel like they're selling out to a brand? Andrew Beranbom: That's a good question. The balance between brand and band is an ongoing one. Our focus has been mostly in the emerging artist space. So, where that's kind of symbiotic opportunity is much easier to obtain. The brands have a lot of value to bring. So one of our core clients is Skull Candy. We power their entire live music, livestream program. It's global, over 30+ livestream events that we're doing. We're actually doing one tonight in L.A. With them, they're able to give them product and goods. Tere's a fee value to that, but they also have 8 million people that they can expose these emerging artists to. So that's a great opportunity for the artist as well. Tim Siglin: Well, that's a great idea, 'cause the brand itself is known and trusted. They're essentially saying, "Hey, here's an up-and-coming you should pay attention to." Andrew Beranbom: Exactly. So the emerging space is a lot easier. As you kind of deal with larger artists, it's just really about finding what do they both care about, you know? Tim Siglin: Ultimately, you're protecting their brand and the brand of the external brand, and that does become a bit more complicated. Tim Siglin: Awesome, Andrew. Thank you for your time.